We had a truly brilliant stay in St.Anton. Thankfully, all members of our party were experienced skiers, as St.Anton proved to be nice and challenging in terms of piste! (Not a resort for beginners, in my opinion) This was my third trip to Austria, so the Austrian apre-ski was known to us... but nothing could have prepared us for the ?Moosewirt? and the ?Krazy Kangaru? !!!!!!! Haus Rudi Matt was great in the end! We started the week off less well, when Rosemarie (the owner) laid down the rules in the first minute of our arrival, in a less than satisfactory manner (Michaela was present...let her tell you more). She, however, quickly apologized and was an absolute darling for the remainder of the week, even offering to do our laundry and baking us a cake on the birthday of one of our party! The Haus Rudi Matt is also the best situated Pension I have ever stayed in... 50m to the main ski lift... you definitely cannot beat that! To sum up a very happy with the week of skiing (I know you didn't contribute, but the snow conditions were also perfect, with approx 35cm of snow in the days before we arrived) Will be sure to use your services again! Kind regards Alan. We all had an absolutely wonderful time. The hotel was perfect. The rooms very nice and the food great. We were catered for very nicely as vegetarians. I found the staff helpful and the location perfect. We were able to either take the bus or walk to the ski lockers and cable car every day and we chose to walk as it was very close. The lockers are a great plan for leaving skis in. 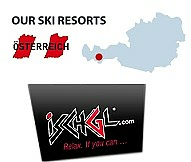 The ski instuctors were very flexible and amenable to extra lessons or time and very very helpful. We were amazed that we were all able to ski down quite steep slopes on the second day already and by the last day we were very comfortable. The slopes were perfect for beginners and children and varied enough that we never got bored. The snow did melt a lot during the week that we were there but there was enough on the mountains even though there was almost none left on the ground at the end of our week. I think that we went at the absolute best time as the slopes were very quiet from the monday and we never felt nervous of getting in any one more advanced way. I found the 24 hours getting there and back a bit long and although I enjoyed the very nice coach transfer from Munich it is quite a distance. I certainly did enjoy my stay at the Hochfilzer, and thoroughly enjoyed the total package of Hochfilzer comfort and hospitality, skiing, and experiencing a bit of Austria and its people. A small special memory was the kindness shown by waitress Romana in making up a Christmas carol CD in her spare time at home when I requested from her where I could find such a CD in Ellmau. Such small gestures go a long way in leaving very positive thoughts of Austria and its peoples. Will certainly consider a repeat if I get to go skiing again, this being my first time. Yes, we had a wonderful time. The Hotel was stunning, the slopes were perfect and the country beautiful. It is a holiday we will always remember fondly. Thanks to all of you at Ski Austria who helped make this possible. Everybody, including the hotel staff, were very friendly. I just had to let you know asap that it was great :) We will keep it in mind for next year, as we are definitely planning on skiing again, so we will be in touch! Thank you for your mail regarding our holiday in Ellmau! Yes, we did love every minute! Our group of friends is already coordinating our photos and we are planning a get together lunch next weekend. We obviously haven't had enough of each other. The Hotel, the staff, the food etc, etc were all great. The hotel bathrooms could do with an upgrade but, none the less, we were very comfortable at Hochfilzer and found the location good. 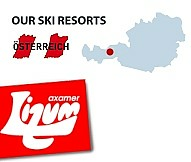 We have no problems in recommending Ski Austria and the package we had to others. Our children, Christopher and Alexander, had a fabulous time and would also like to have the holiday all over again. Thanks to you, Thomas and the rest of your team for all your assistance and making it a pleasant and easy holiday experience for us. Just to let you know that clients MCCLELLAND had a great time in ZELL. They said the ski Austria rep was so helpful nothing was a problem to sort out! It was a great bonding time for them and MRS McClelland said she regrets not having done a ski trip earlier in her life. The only downside was that she said the NEUE POST had a lot of gay guests so didn't feel it was that suitable for her sons. (not sure whether it was just a coincidence) and the dinners lacked variety. Otherwise an awesome holiday in a beautiful town! Thank you! We had a lovely holiday at the Hotel Palace and in Bad Hofgastein. We felt the hotel was great value, the accommodation was spacious and the food was very good and excellent value... especially with the wine and beer included. Michela's arrangements for the private ski lessons actually worked out very well... the ski school was very nice and our instructor was a super girl and she was very patient with us. We extended her services for a couple of extra days and felt it was very worthwhile. I would recommend this option for other beginners as well. Bad Hofgastein suited us very well... we prefer the slightly quieter environment rather than the frantically busy and very hectically social setup, the slopes were great... lots of options and although the local people were very stressed about the lack of snow, it did snow hard while we were there and then the rest of the ski slopes opened. We would definitely go back and are talking about going with our children in a couple of years from now... although they would probably prefer more of the bright lights. We had a fantastic holiday in Ellmau. Our transfers to and from the resort were very efficient. The staff at the ski hire were friendly and helpful... everything went very smoothly. Thanks for the backpack full of goodies. We particularly enjoyed the champagne. Hotel Hochfilzer was great. Friendly, efficient staff, excellent food and great facilities (pool area etc). Our room was very basic but clean and comfortable. I did however feel that the bathroom was not up to 4 star standards. We had no extractor fan or ventilation of any kind and the shower was very tiny... could do with a revamp. The skiing was amazing! My husband has skied a lot in many different resorts and said it was the best he has experienced. Ellmau is small and quite compared to the other resorts we have visited (Verbier, St Johan, Saalbach, Kitzbuhel, Neustuft, Lech). The location of the hotel couldn't be better. We had the most fantastic time and can only recommend this package to anyone who wants to have a carefree, fun-filled holiday without having to think about transfers etc. The ski course and trainer were perfect and we would love to go back in a year or two ! Geena had an absolute blast and can't stop talking about her experience. Hotel Hochfilzer and all of the staff were absolutely amazing. We felt so welcome and like part of a big family. I must compliment Ingrid on her accomodation, food, friendly and compitent staff as well as the standard of service. It was a real treat. Something that was very important to us having a child was the way that Geena was treated by all of the staff. The children and their needs are catered for, starting with childrens Buffet every evening to a play room with activities and a child minder (Hedwig was a gem and Geena loved her !) All of the staff had time to listen to her and we could see that they were very sincere. The atmosphere at the hotel was fenominal and we would be back there tomorrow if we could. This holiday package is worth every cent and we will definately be using you again in the future. Once we are settled at work again, etc I am sure that I will be able to send you photo or two. Thank you very much. We really enjoyed our stay, and the skiing was awesome. We found the hotel comfortable and well located, and the food was fantastic. We thought the slopes in Lech were fantastic. We tried to do as many different ones as possible, and weren't disappointed. We also did ski runs to Zurs (which was fantastic) as well as to and in St Anton (which we found not quite as pleasant and well kept as Lech's). We were also very impressed with the welcome we received. Michaela met us at the bus, and helped to get everything sorted. We could just relax and start skiing the following day. It was such a memorable holiday. We will most definitely take another ski trip within the next couple of years. I will contact you (or someone at your office) when we plan our next trip. The question then would be if we return to a place we know is excellent in almost every way, or do we try something new. We have such a lot of photos to work through with the wedding and the holiday, but as soon as we have done so, I'll forward you some for the gallery. Thank you once again for helping to make our honeymoon such an unforgettable trip! The slopes & skiing were great in Hinterglem, and we did not even get to all of them. The village is very festive and all the facilities you could want were available. Quite a few T-Bar/Drag-lifts though, and these are not so good when your legs are tired, but there are enough other slopes so you hardly ever have to go near a t-bar if you don't want to. We did not end up in Pension Wolfgang, but in the Pension hotel next door... Almrauch (same owners). However the accommodation and service there was excellent. Salzburg was great, the accommodation good, and overall well worth a stop over. Thanks for all your help, we will probably go again at the end of this year (if we can get away from work), so if there are any specials, please send them through during the course of the year. Really enjoyed the first skiing experience. Thought the 5 days wasn't enough though, you just learnt to ski and then you have to pack up and leave! So the full value of the ski pass wasn't realized. Did complain to Michaela about the ski instructor on the 1st day- battled to understand his Dutch English but we battled on nevertheless. I however felt that the pace was too slow- but I guess that not all learners are on the same level. Ski slopes at Ehrenbach was quite good but challenging. Got caught in a blizzard on X-mas day so got trapped on the slopes for a while! Kirchberg is quite scenic and very beautiful, didn't get to tour rest of Austria because of schedule. Stop over at Munich was awesome as well. Hotel Brauns offered good service all round- language sometimes a barrier though! Unfortunately didn't do all the other fun stuff like skating, snowboarding, tobogganing, etc- just wasn't enough hours in the day! All in all memorable trip- just too short! Our holiday was fantastic. We all enjoyed it. The hotel was very good and the people were extremely friendly. The food was a bit too fancy. We would have preferred to eat Austrian dishes, but otherwise it was great. The ski school did a great job of teaching us to ski. On day 4 we went up to the main slopes. It was breathtaking. We are all in agreement that we need to return to Austria in the future. Hi Eike, Thomas and Michaela! I just wanted to say THANK YOU VERY MUCH for an awesome holiday! Everything was great (just not the snow)! Very friendly staff at the Hotel, your Organisation was perfect (from the booking until the transfer back to Munich!) well done! Michaela it was very nice to meet you and your sons! All the best for you and your family and please send my regards to Ingrid! (Giepies arm is better, but still blue and green) We have arrived safe back in Botswana and I am missing the cold! Wishing you all a very happy, healthy and successful 2010! We returned from our holiday yesterday... just in time to get the children back to school! We had a lovely time in Gotzens. Anthony (who had had previous experience) skied with an intermediate group and, I think, exceeded his own expectations. Colin and Julia both learnt to ski well, progressing steadily to the red slopes... Colin was upgraded to a more advanced class and both came third in their races (not at all bad as they were competing against children who had had some previous experience). By the end of the week, Alasdair had also mastered the more difficult slopes and was awarded a gold medal for his race! I had lessons and skied for two days which suited me well (I don't have great skiing ambitions) and I was able to go for walks and watch the children's progress. Edelweiss is a good family hotel... it was great to be able to swim or sauna after skiing and we managed to slip out of Munich airport just before German flights were grounded by the snow storms! Thanks for organizing it all so well. We had the most amazing holiday ever! The pension was unbelievable and probably the best situation you could ever be in at a ski resort. We had our beginners lessons right outside the front door and all the ski lifts a mere 100 meters and 200 meters away form us. Literally ski in ski out. My kids did snow boarding and Greg and I skied. Not easy to learn at our age, however we managed pretty well. If I had the money we’d go back every year. Rose-marie at Rudi Matt was so so nice. Breakfasts were awesome and the rooms were great. People go there who’ve been staying with her for 10 years running. We met some lovely people in and thru our ski groups. It was actually nice not to have any other south Africans there as we were forced to meet other people. Maybe a little lonely for our 17 year old, however he managed to meet some young people at the Moeserwirt( the greatest mountain pub ever) on a few nights. Danced on the tables a few times, we must admit! We only took 3 days lessons, which is probably enough especially if you’ve skied before. My dream came true as we had beautiful falling snow from our 1st morning for 24 hours. 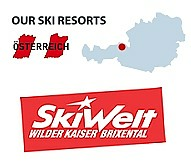 The organization with Ski Austria went without a hitch. The bus to and from Zurich was all on time and your representative was very helpful when we arrived. Thank you for the Goodie bag and Champagne we received. We left St Anton with heavy hearts and very stiff limbs. The time of year was actually perfect as after the snow we had sunshine and could ski without gloves and all the layers. Even suntanned a bit on top of the mountain. As I said-a dream holiday come true! The rest of our time in France was also wonderful and we enjoyed every minute of it. Except for my aching limbs when Greg dragged me around Paris at a rate of knots trying to see as much as he could-Architects!! We took many photos and to send them to you would probably be so slow. I have posted an Album on Facebook and wondered if you could take them off there. If its not possible, have a look and tell me which ones you’d like me to send to you. Even our friends who’ve skied before and seen our photos want to go St Anton next time they ski, so thank you once again for all that you did to ensure us of the holiday of a lifetime. A wonderful, memorable experience for all of us so thank-you for all your hard work. We had a fantastic time and could not have expected more from Michaela and the Hotel Hochfilzer and Ingrid. Excellent added value all the time. Her staff were really great and left a great impression on the kids especially Ilknur. Hannah my 4 yr old cried when we left as she was not going to see her again. It was a wonderful experience and I had a great time. Ilse & Johnny at Pension Tyrol are very friendly and the home cooked meals where excellent. I am glad that I have taken advanced ski lessons, because I gained so much confidence that I was able to ski anywhere on the slope. In general I found the people in St. Johann very tourist friendly and it is with out a doubt a beautiful ski resort. Thank you for a wonderful holiday. Thank you, yes, we had a great holiday and the skiing in Austria was the highlight of our trip. We in fact wanted to try and extend our stay but there was no place available. Austria is a lovely friendly place and the hotel and food was great. Just a pity it had to come to an end. We loved the skiing - there is so many more slopes that we would like to ski though. Michaela and her team did a great job at making us feel welcome and sorted out any issues that we had. Thank you very much for a stunning holiday! All the arrangements were perfect, the skiing was fantastic and the even the weather was outstanding. The village of Ellmau and especially Room 203 in the Hochfilzer (with Ingrid and her fantastic chefs and team!) were exactly what we needed after a long and difficult year! Thank you very much!! On behalf of our entire group, I just want to extend a BIG thank you to skiAustria for an absolutely amazing holiday in Schuttdorf (Zell-am-See). We had a fantastic time, our stay in the Glocknerhof hotel was (like the previous time) an absolute pleasure and the skiing was great! Thanks to your team (both here and in Austria) for all your arrangements and ensuring our trip went smoothly and without any hiccups. Thank you also for handling the misunderstanding with regard to the toboggan evening in such a professional manner. We eventually had a great fun night out on the slopes of Piesendorf. Thanks further for the hampers and rucksacks. We appreciate the gesture. Once again, a THANK YOU for the wonderful experience we have had in Austria! Everything went so smooth, organised, and reliable, and the food was AMAZING! 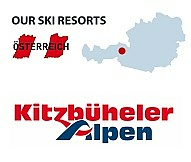 (and so was the ski, the snow, the people, the mountain, Kitzsteinhorn, etc etc etc) A double thumbs-up for skiAustria Tours! Will contact you soon to arrange the next holiday! We had an amazing time in St Johann and yes the Hotel Brueckenwirt was great and the slopes perfect. Ryan had an amazing birthday and after Steve requested Micaela to arrange something in the room in Munich, she went one better and gave him a gift on the bus on route to Munich – it was a wonderful gesture which we really really appreciated. Thank you for everything you guys did - it was fantastic and I would recommend skiAustria to anyone going skiing first time !!! !